Looking for the latest update? Remember the plastic drumset you bought with that console rythym-game? It's time to dust it off, plug it into your PC, and start making music! 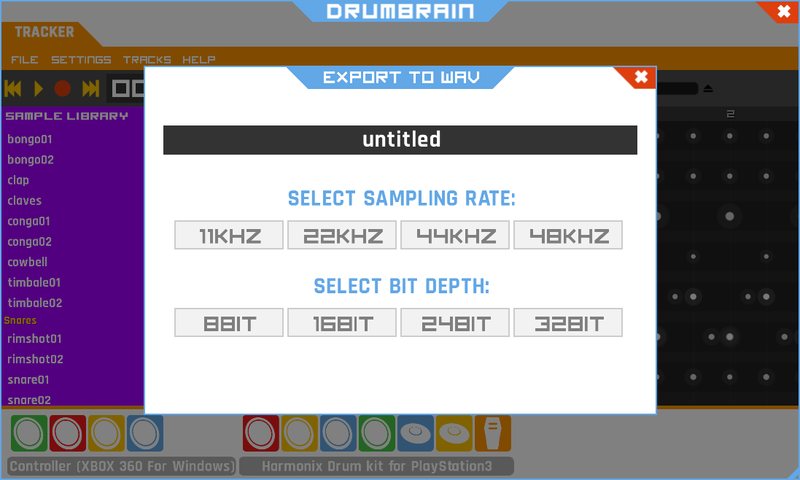 Assign samples to pads like a real eDrumset! 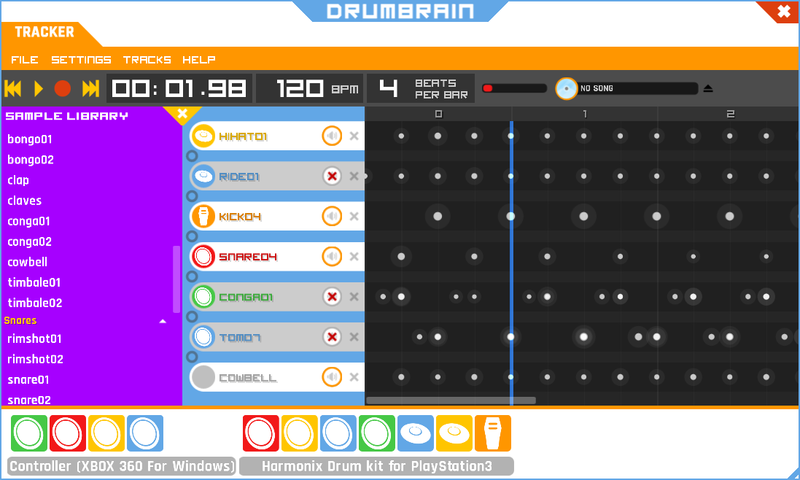 DrumBrain is currently in development, and you will receive access to future updates. A DirectX 9 capable video card, with DirectX 9.0c Runtime installed. 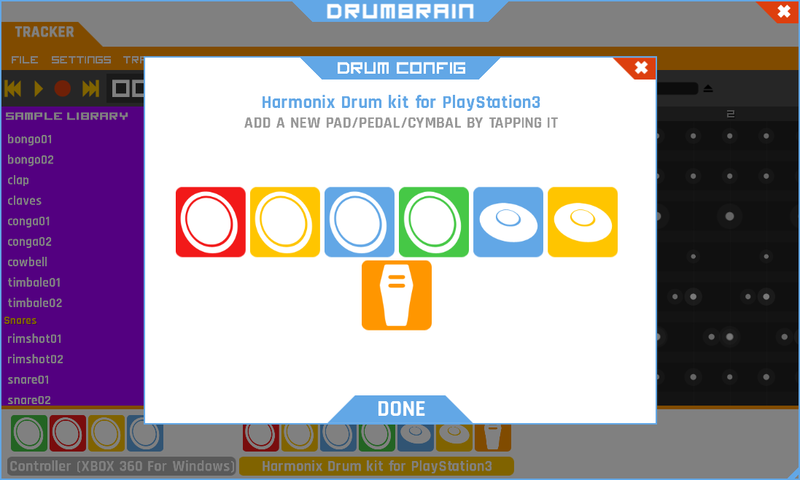 Rockband is a trademark of HARMONIX MUSIC SYSTEMS, INC. Guitar Hero is a registered trademark ACTIVISION PUBLISHING, INC.